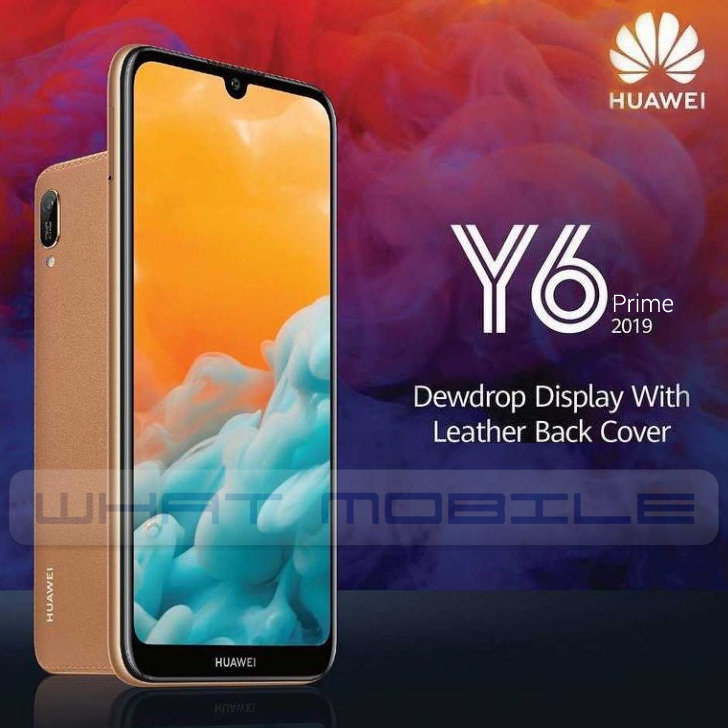 After the successful launch of Huawei Y7 prime 2019, Huawei is soon going to announce the Y6 Prime 2019 in Pakistan, probably by the beginning of March. In a news leak in January, WhatMobile was the first to share the handset details, not just in Pakistan but across the globe, as nobody knew earlier if a handset does exist by this name. Now according to the sources, Huawei Y6 Prime 2019 will come in textured stitched leather finished back that will be available in two colors, Amber Brown and Midnight Black. From the leaks posted earlier, we already know that the handset features a 6.09-inch HD+ screen with the classic dew drop notch, as already seen on the earlier Huawei / HONOR smartphones. The notch contains the 8.0-megapixel front selfie shooter. the smartphone packs 2 GB of RAM and 32 GB of internal memory, enough to suggest that its an entry-level device. On the back, a single 13-megapixel rear camera stands out on the textured leather back with stitches around the corner. The successor to Huawei Y6 Prime 2018 comes with a battery capacity of 3,000 mAh and runs on Android 9.0 Pie out of the box. unfortunately, There is no fingerprint reader on the Y6 Prime 2019, so authentication is limited to face recognition with the help of front camera sensors. 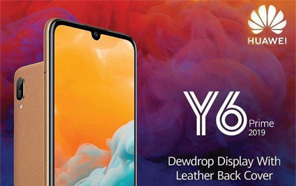 We are not sure if the new Y6 Prime will also be available in plain backs but the leather stitched design is confirmed. The new Huawei handset will go on sale in first week March but the pre-orders will start way sooner probably by the end of February.